By Upasana Pradhan in Government Documents, Passport on December 21, 2018 . A passport is one of the most important documents issued by the Government which helps us to travel to other countries in an ease. It is an official document that ensures smooth immigration into another country. It also doubles up as an authentic office document, helping us to avail various government and private services as it acts as an address and id proof. The fastest way to get an Indian Passport is to apply for Tatkal Passport Scheme. Tatkal service is available for issue or reissue of Indian Passports. It is not available for miscellaneous services as OCI Card. Tatkal service is available on consideration grounds of genuine emergency like death, serious illness of a blood relative. Tatkal passport service is not for the case of scheduling travel plans, or in case of expired visa status or in a case where the passport has not been renewed for more than six months after the date of expiry. There are certain eligibility criteria for the TATKAL Passport application. Applicants falling into this category below cannot apply/reapply for the tatkal scheme. Citizens born to Indian parents outside India having an Indian Descent– The applicants who have Indian parents staying outside India but have an Indian descent can apply for the Tatkal Passport. Applicants who have been deported to India from other countries. Applicants who have been repatriated from a different country at Government’s cost. Residents from Jammu and Kashmir and Nagaland. Naga origins residing outside Nagaland. Children adopted by Indian and Foreign parents. Minor Children with a single parent. Minor Children residing in Nagaland. Change in personal credentials such as a signature. *No Police Verification is attempted in the Tatkal Passport Application. Before visiting the Passport Seva Kendra you need to make sure that you carry all the required documents as mentioned in the official site. The documents that are needed at the time of applying and submitting. Verification certificate as per Annexure F– The annexure ‘F’ is basically a verification document which certifies that the applicant was staying at his/her current address for the past 1 year continuously and you are an Indian citizen with no criminal record from the past till date. Election card- The voter ID card. A students ID card from a recognized institution. The charges for the Tatkal application is quite high. If you are applying for a fresh passport (TATKAL) then it has a different fee and payment process along with the duration. You will be charged Rs 2000/- extra in addition to the regular fees mentioned. The maximum time limit for the Tatkal Passport issuance is 7-10 days. 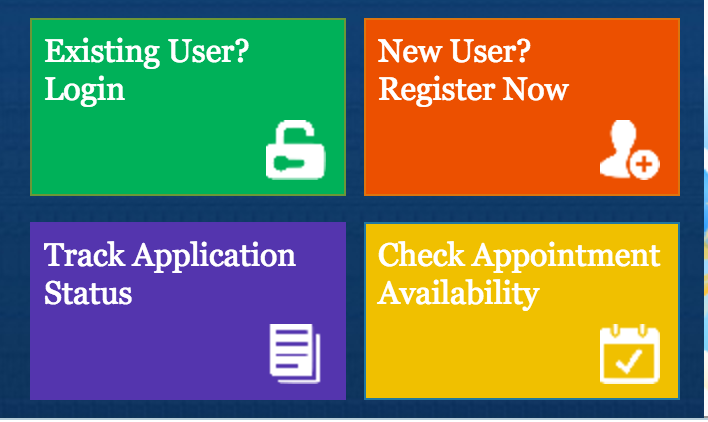 The official site for applying for the Tatkal Passport is passportindia.gov.in/AppOnlineProject/welcomeLink. Register yourself at the official portal of Passport Seva.- You need to apply at the official website of the passport and register yourself. Every individual will be provided with a unique ID and password.- After registration, you will be provided with an ID and password. Log in using the ID and the password. When you log in yourself, you will be redirected to a page with two options fresh and reissue Choose the application option. Now, Select “Tatkal Option” in the scheme type. Fill in the desired details and click on the submit button. After filling the details, Download the application form and fill in the form. You can submit the form either online and offline. Book an appointment at the nearest Passport Seva Kendra. Here you’ll be provided with an application token number.